Welcome to Day Two of Fiction University’s Month-Long At-Home Revision Workshop. This first stage is all about getting the story and plot worked out, and identifying any holes or problems to guide us in our revisions and let us know where we need to focus our time. We’ll be analyzing plot and narrative structure, and making sure the novel is working as a whole. After yesterday's session, our external plot should be clear and defined. 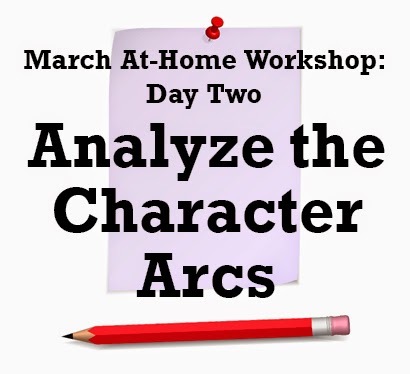 Now we'll look inward and analyze the character arcs and how those internal conflicts work with the external plot. Today, we'll focus on how the characters grow over the course of the novel. Consider making notes here on any weak characters to get a head start on the character development sessions next week. The internal conflict is the problem the protagonist is facing on the inside. It's most often a personal struggle that deals with the protagonist's belief system in some way. This is the conflict that will follow the character arc and allow the character to grow however she needs to in the story. The internal conflict will likely be at odds with the external conflict. It makes the protagonist’s choices harder, leads her astray, and keeps her from whatever she’s after that will make her happy. This conflict will be central to the character arc. Revision Red Flag: If the character has no internal problem, that could indicate a lack of stakes or personal motivator for her to act in the novel. There should be pros and cons to every choice and problem she faces. How does the internal conflict affect that growth? What lie is she telling herself/does she believe at the start of the novel? When does she realize it isn't true? What does she want most of all as a person? Does the external plot facilitate her achieving this personal desire? When does she face this fear? Depending on how character-focused the novel is, you might also ask these questions of other characters. Secondary and supporting characters can have arcs as well, and having conflicting arcs is a great way to add additional tension to a novel. It’s also a good way to get other characters more involved in the plot to add depth and richness to the story. Where do you want the character to end up? There might be lessons learned, or flaws to overcome that are driving the character arc of the novel. Does the character become a different person (for better or for worse) by the end of the book? What personal changes occur? What causes those changes? How much does the character need to suffer to achieve this change? Nobody changes just for the fun of it. A good character arc will make the character reevaluate her behavior and realize she needs to make a change or else. Sometimes the suffering is minor if the change is small, like realizing she could be a bit more polite when dealing with co-workers, but real change requires real incentives. If the character is going to evolve in a major way, the events that force that change are likely to be equally major. Who or what brings about that change? 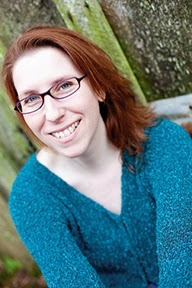 Arcs often involve having the character exhibit the behavior that needs to change and having it turn out badly for her. Eventually, she'll behave the right way and be rewarded. Typically, this takes many small steps in a longer process to make the character take a hard look at herself and her life. Change works both ways: Negative reinforcement might gain positive results, but bad things can also push a character away from the change you want her to have. Sometimes she backslides and wonders if it's all worth it. There might be some bad times ahead before that growth occurs. Not all growth is good growth: If the character backslides, she might rebel or do something that does indeed grow her character, but not the way she probably should. She might lash out, do something because she knows she shouldn't. She might act the opposite of what she knows is the right way just to prove she doesn’t have to do things someone else's way. How does the change reflect the premise or theme? Odds are the arc is going to connect to the theme or premise in some way, since character growth is a great vehicle for illustrating theme. Think about what the story is trying to say on a more conceptual level, and if the character arc can help illustrate that idea. Once you have your character arc(s) figured out, it’s time to analyze how they fit into the larger plot and make sure there are no holes or gaps. Go ahead and grab your editorial map or outline from Day One for the next step. If the character arcs are solid, you should see a nice progression that weaves through your major plot points. I recommend merging both the character arc turning points and the major plot turning points in to your structure outline to see exactly how both arcs unfold. You should be able to see where and how the plot creates opportunities for growth and change, and how the changes (or mistakes) affect how the plot moves forward. Revision Red Flag: It’s not uncommon to see a lot of growth clumped together in the climax, so if you notice most of these moments exist at the end of the novel, that could indicate that the characters aren’t growing, but just “change” because the book is over. The growth will likely feel false to readers since the characters haven’t earned that growth. Try spreading the moments (and growth) out over the course of the novel so the lessons learned feel natural to the plot. Use your outline and major turning points map to make sure you have a gradual and consistent growth. Although it’s not necessary, I’ve found it to be extremely useful to write out the “front story” for my characters. This is a quick summary of what they do (or are trying to do) in the novel. For example: What’s the antagonist doing and why? Knowing how his story unfolds makes it easier to see where in the protagonist’s plot events will occur, such as finding clues or running into obstacles. What are the story arcs for the secondary characters? They usually have goals and secrets of their own that affect the main storyline. I like pretending each non-protagonist character is the protagonist and write down how their story would unfold. It allows me a much better sense of what they’re hiding, what they’d be willing to do, and where they'd be reluctant to act and why—which turns them into three-dimensional characters with lives of their own, and not just mouthpieces backing up my protagonist. If you see any holes or weak areas, spend your revision session on those areas. A good character arc starts with the internal conflict, so that’s a good place to start if you’re not sure how to begin. After today’s revision session, we should have both a plot and character arc structure that works well together and the major turning points should feel solid. The next step is to go a little deeper and see how the individual scenes flesh out these arcs and connect those turning points. Day two, first victory for the day, clarified the inner conflict for protagonist #2 which then in provided the answer for some muddled logic about when he'd brought a minor antagonist into the mix. That point had been bugging me forever! My manuscript is in Word and something that's proving really useful are heading styles and the navigation pane. I've put my scene headings in Heading 2 style and my revision notes in Heading 3 style. When I turn on the navigation pane (click on 'find' and it appears on the left) All my headings appear in the pane. That makes it easy to navigate to each scene and to see where the changes happen in the bigger manuscript picture. Thanks for all the motivation and ideas! Whoot! Awesome. I love that feature in Word. Great tip, thanks! This is an incredible series. Since I'm pushing through this draft at the moment, I'm saving the links in a file to be studied later. Passing your blog along to my new critique group. You are such an asset to the writing community!! This is just what I needed! I have about six/seven first drafts and no idea what to do with them. Excellent, I hope this helps you wrangle those drafts into shape. Thank you so much, Janice! This is all so useful, and is really helping me move my ms along. Whew, these are some great questions to ask about our characters. Thanks for the checklist. Closing in on catching up! I did the front matter for my supporting cast too. I think that will help focus those people better. That always gives me such great insights into my supporting characters. Regarding protagonist and antagonist, can you consider the hero and heroine in a romance as both protagonists, and as antagonist to each other? They can be, but there's usually another outside force affecting them. Family, societal pressures, bad timing etc. If it weren't for that outside force, they'd get together and be happy. Does that make sense? Yes, that makes sense. Thanks. When analyzing the character arc I feel like I need to make a character arc for both of them as a protagonist. In this story it's more internal conflict that keeps them apart, but maybe I'm getting ahead of myself. I don't think so. If it's a romance, and you see both POVs, then you would want to give them both characters arcs that ultimately end with them resolving whatever personal issues were keeping them apart. Pure romance (as opposed to stories with a romance element) are a little trickier since the two characters end up together, so they can't be "antagonists" to each other in the bad guy sense. Quite often, you'll see someone as a bad guy proxy who represents what's keeping the lovebirds apart, and that's the antagonist they need to deal with. Janice, your insight and thorough detail are the best I've seen. Thanks so much. I have found that rewriting the synopsis from the POV of the opponent/antagonist helps filling in some gaps in the story. I will definitely pay more attention to him. This is so helpful, I have to make copies and have a little binder for all the info. I also have your book, but cannot print it, so this is handy. Thanks! Glad it's helping. I have a friend who plots all her murder mysteries from the antagonist's perspective so she know how the murder was committed. It's a very useful technique.